I’ve been wracking my brain, trying to think of things I can give that are different, that aren’t expensive, that won’t get dusty, and that most people wouldn’t go get on their own and as I was wandering around the (very small) Farmer’s Market in Pasadena, I realized there were a lot of one-off gifts, the delightful, the different. I bought some stuff for me but hey, I have to think every Farmer’s Market is a bit different and will have different stuff – especially near the holidays – to help me handle my holiday gift list. Buy 5, get one free…well, I had to, didn’t I? Aren’t they pretty? 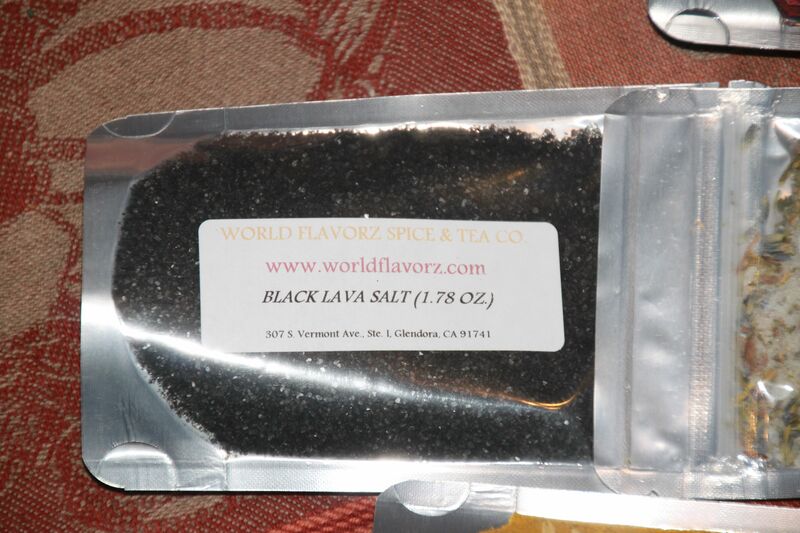 One of the salts that caught our attention was this black lava salt. It’s made by smoking it with coconut husks (I think I have that right…) and looked intriguing. I also bought some pink Himalayan Salt (because I’m a salt addict). This salt just looked fascinating. It looks like it has lavender in it, as well as other Provence herbs. Not sure what I’ll use this in, but I’m keeping my options open. In the top photo, you can see two spices at the bottom. I wanted some fresh curry mixture, which is the yellow spice – and the red is fresh, sweet Hungarian paprika. I’ve been looking for the sweet variety, and I’m SO glad I found it! I’ll be using that on my turkey this year. So, while I haven’t even begun to shop for my family and friends, spices from a Farmer’s Market might be a good gift choice. I’m looking forward to nosing through other Farmer’s Markets in the greater Los Angeles area – never know what I might find for that perfect person. Thanks for stopping by! May your week be filled with family, friends, good food, and plenty of thanks. What sorts of places do you like to go to, when you’re shopping for gifts? 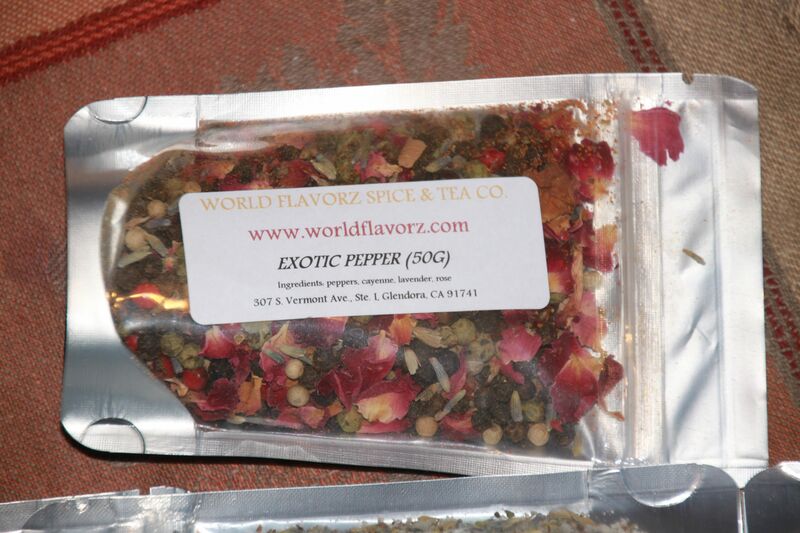 This entry was posted in Life, Observations and tagged Black Lava Salt, Christine Ashworth, Exotic Pepper, Farmer's Market, Pasadena, Provencal Salt, World Flavorz Spice & Tea Co. Bookmark the permalink. Salts are always a welcome surprise for the ‘cooks’ you know, as well as other unusual spice combos, teas, maybe some fresh lavenders or sachets. Little extras always elicit smiles from your friends!! Exactly. I love lavender sachets. They’re easy to make, too! Those look like tasty gifts!! You and I were thinking on the same wavelength. 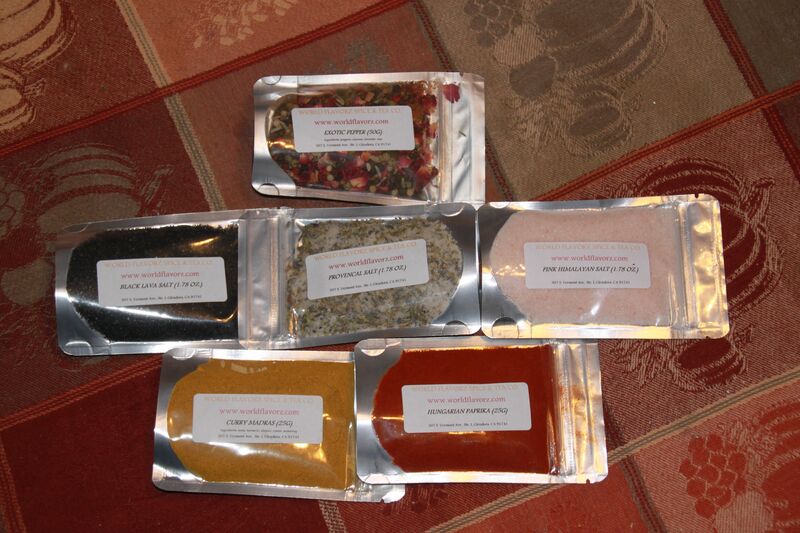 I went to Penzey’s Spices today, grabbed the spices I wanted, then grabbed a few as gifts. Tari, I haven’t yet actually stepped into a Penzey’s – and I really should! I love their catalog and have drooled over it many a time. How cool! I’m already thinking Son would love some of these–he’s an experimenting chef! Thanks, Christine! You’re so welcome, Nan! As Tari said, Penzey’s Spices is also a terrific place. I’ve mail ordered from them a few times and have always been impressed. Sam, that worked for a long time for me, but I know a lot more people now who either never drank alcohol, or who are in AA – so no BevMo for me this year. Have you checked out Cost Plus World Market? They always have nifty stuff. What a great find! 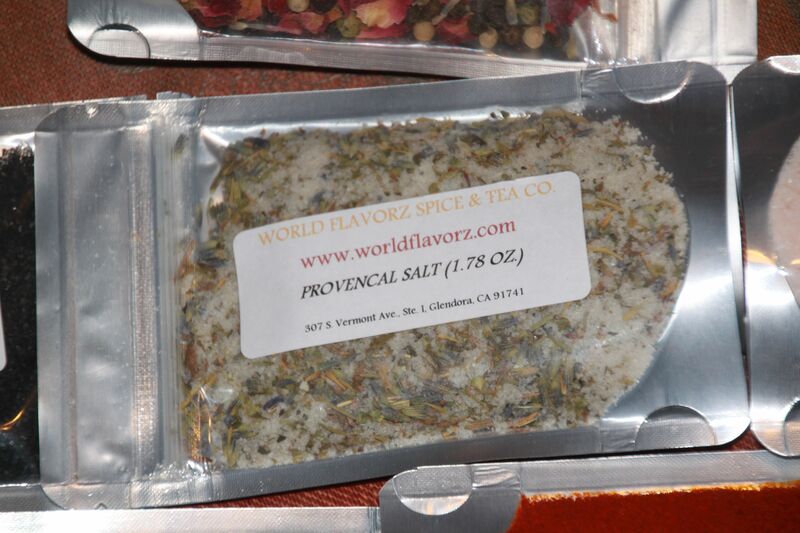 The salts and spices would be a great addition to a holiday gift basket, especially if the recipient is a cook. Maybe I should make one for my husband. He has champane taste with food and will appreciate these fine delicacies!